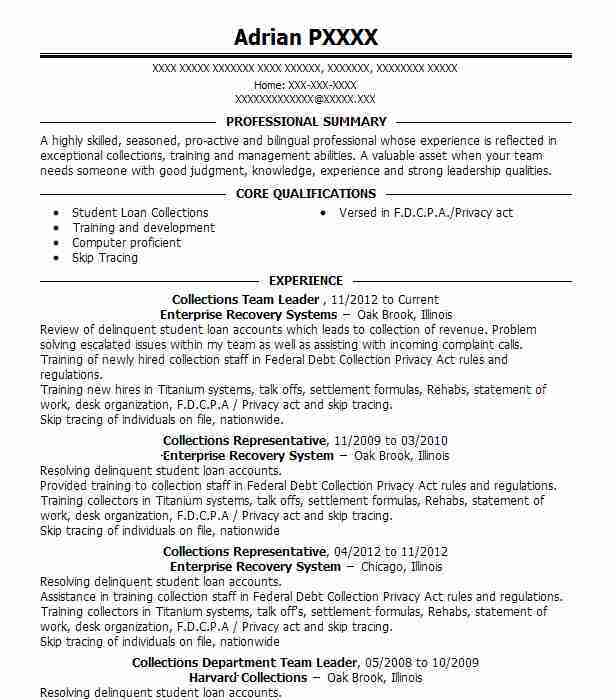 Dedicated Collections Team Leader understands how to motivate front-line collectors to ensure they meet operational goals.Provides exceptional leadership and good direction.Has ten years of experience in the collections industry and an Associate’s degree in Business Management. Led and supervised a debt collection team focused on collecting high-risk bad loans. Scheduled and coordinated repossessions when all else failed. Taught collectors to get and keep people on the phone. Always followed the Fair Debt Collections Practices Act and ensured collectors did as well. 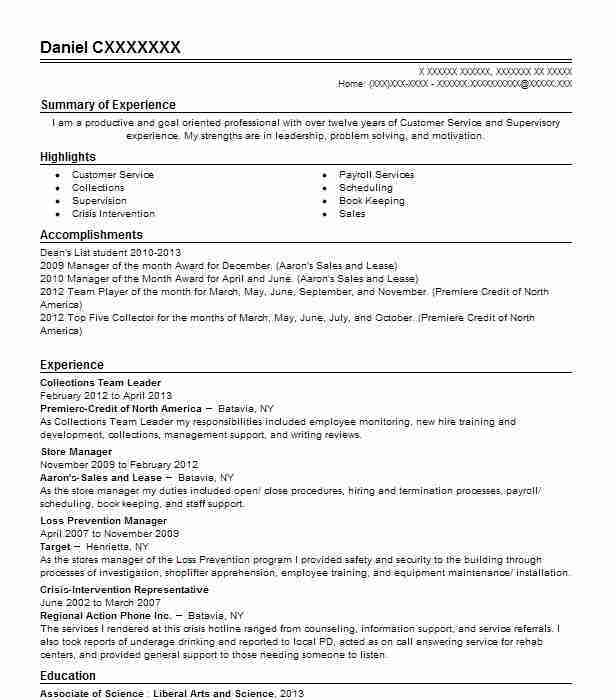 Performed phone monitoring and random call audits. Assisted staff in meeting collections goals. Helped staff succeed at maximum collections. Trained managed and developed a strong collections team. Ensured all collectors followed the mandates of the Fair Debt Collections Act to protect business from liability. Monitored calls and completed spot audits. Evaluated employees and recommended firing for those who consistently were unable to meet collection goals. Followed company procedures policies and mandates. Increased collections by eight percent. There are plenty of opportunities to land a Collections Team Leader job position, but it won’t just be handed to you. 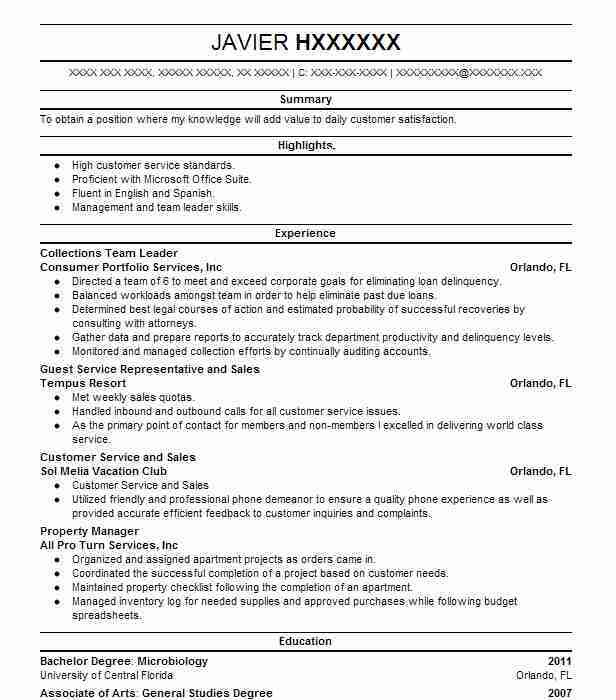 Crafting a Collections Team Leader resume that catches the attention of hiring managers is paramount to getting the job, and LiveCareer is here to help you stand out from the competition. 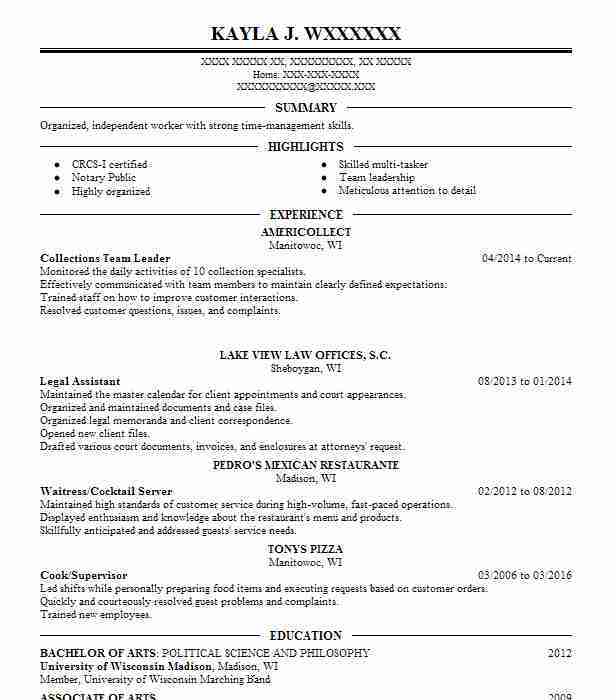 Summary: Organized, independent worker with strong time-management skills. Summary: To obtain a position where my knowledge will add value to daily customer satisfaction.